I made this cake specially for my friend Dana on her birthday. 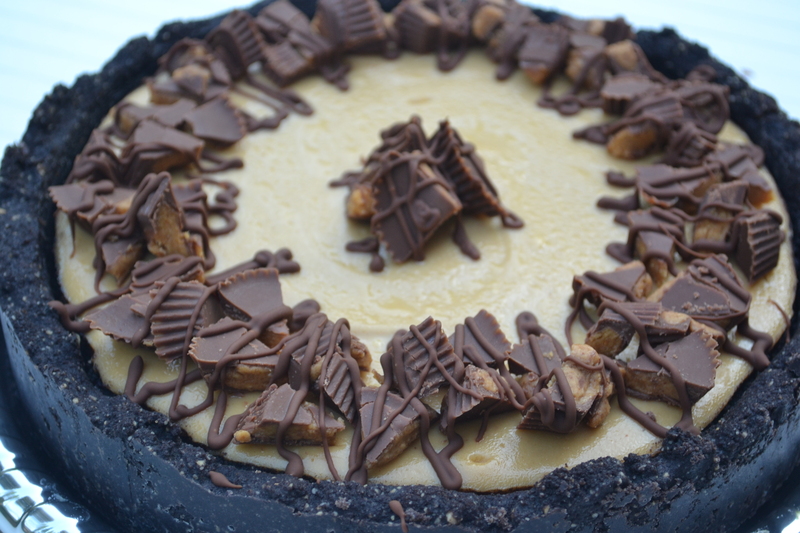 Why would I ever want to buy a peanut butter cheesecake when it is so much more fun to make it from scratch? So I did. 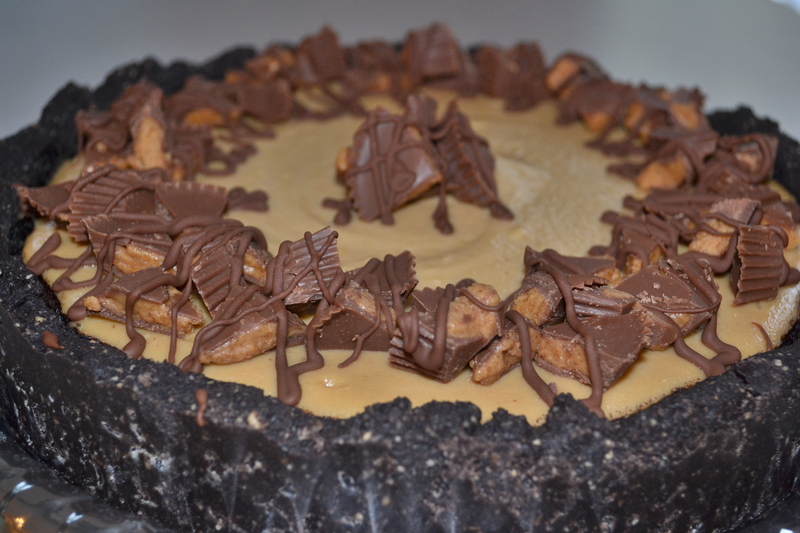 Now this cake was intense, 10 inches of oreo-peanut butter cup-cheesecake goodness. This cake was actually…dare I say…quite dangerous. 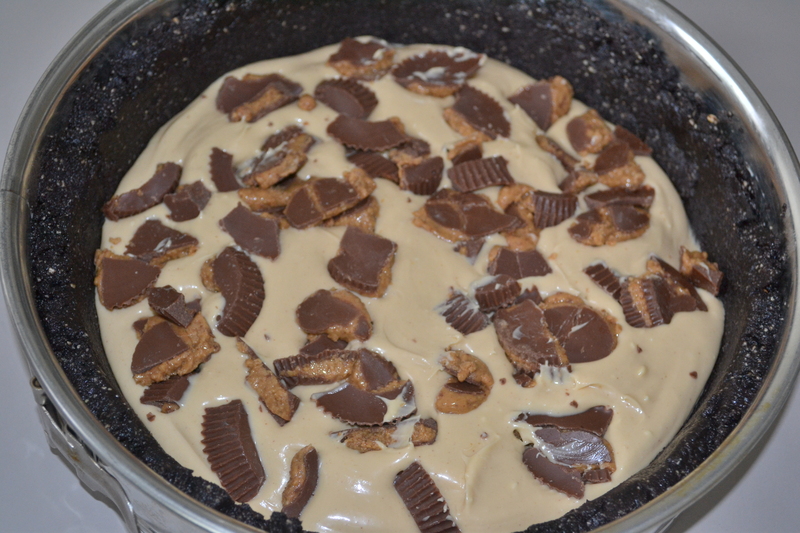 Then some more peanut butter cheesecake filling. 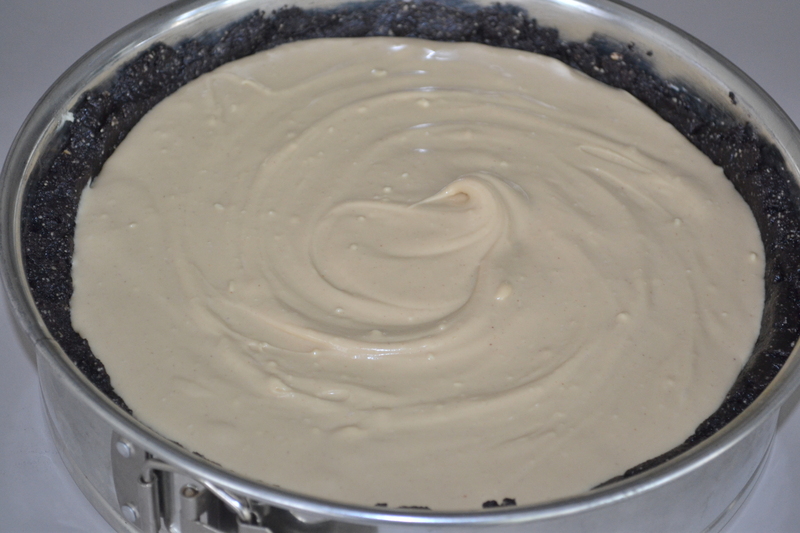 I baked the cheesecake in a bain marie (water bath) to avoid cracking — success! I’ll make sure to remember to do that next time I make that Oreo Cheesecake. 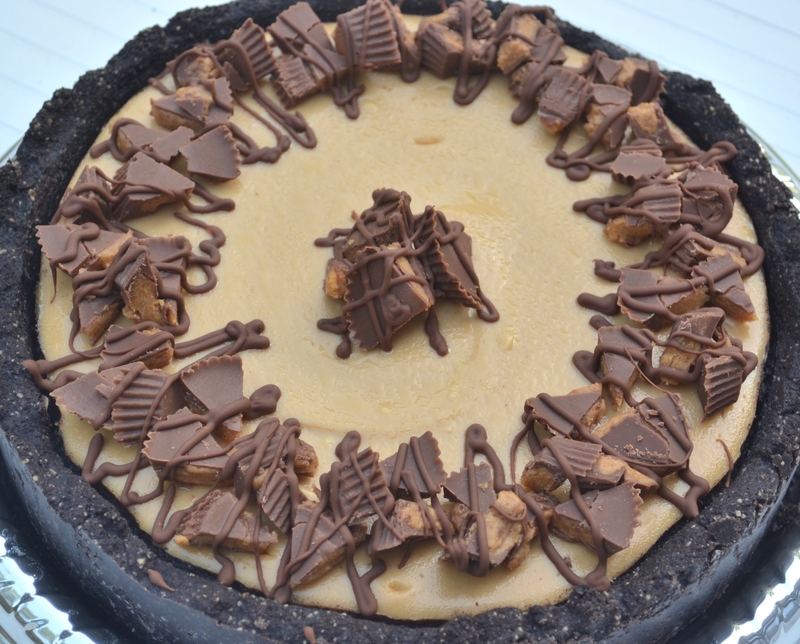 The crucial step with this cheesecake was to allow it to set in the refrigerator – I set mine for about 24 hours. 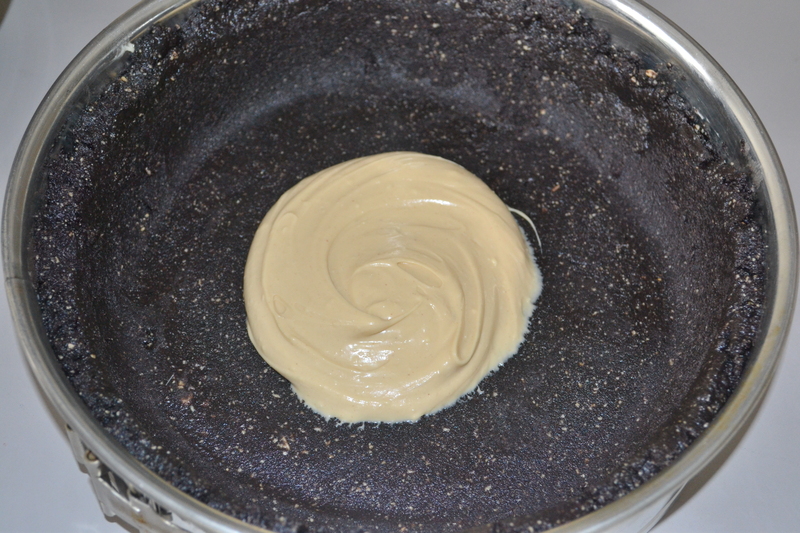 When I initially tried to remove the spring-form pan from the cheesecake, which I attempted before setting the cake, the crust began tearing away from the cheese filling. The crust was also quite mushy and not so crust-like at all, despite me baking it for 1.5 hours! Once I was able to successfully remove the cake from the pan, I added some decorations. 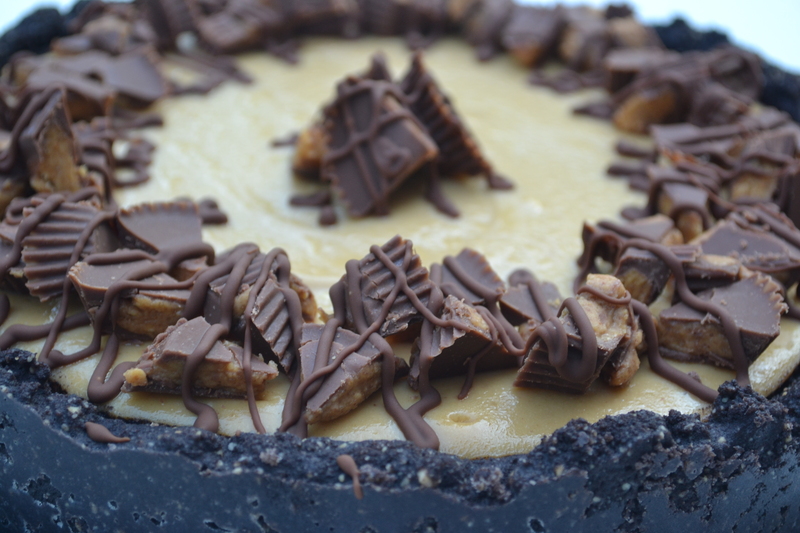 Chopped peanut butter cups and drizzled milk chocolate — what could be better? I adapted a recipe I found here. Warning: if you plan to prepare this cheesecake, do it well in advance of serving — and prepare for a dangerous ending to your meal. My definition of dangerous: ingredients or flavours that are so intense and rich that they may be harmful to eat.